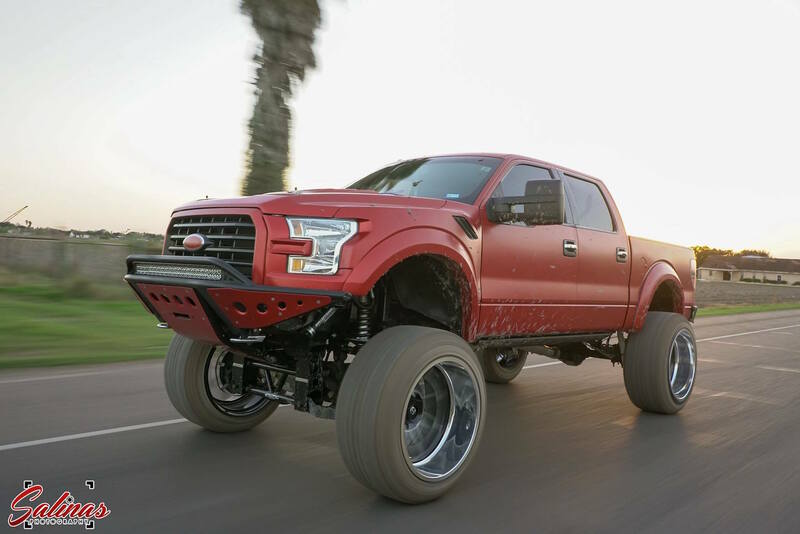 Whether you refer to them as mall crawlers, bro-dozers or pavement princesses, lifted trucks on massive wheels and stretched tires catch a lot of flack. The typical knock on these types of rigs it that even though they're technically built with all the necessary equipment to venture off-road, they hardly ever do because the trucks are too pretty to get beat up on the trails. After looking at some of these rigs up close, it's hard to not at least acknowledge the time and money put into them. With that in mind, can you blame the owners of these radical rides for not being motivated to tear 'em up? Regardless of which side of the fence you're on it's always cool to see one of these massive monsters get a little muddy. 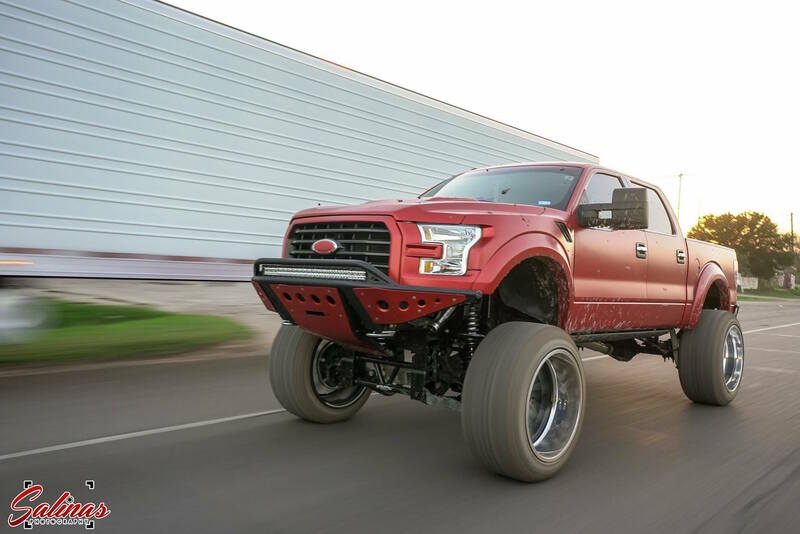 This particular F150 is unique in many ways. 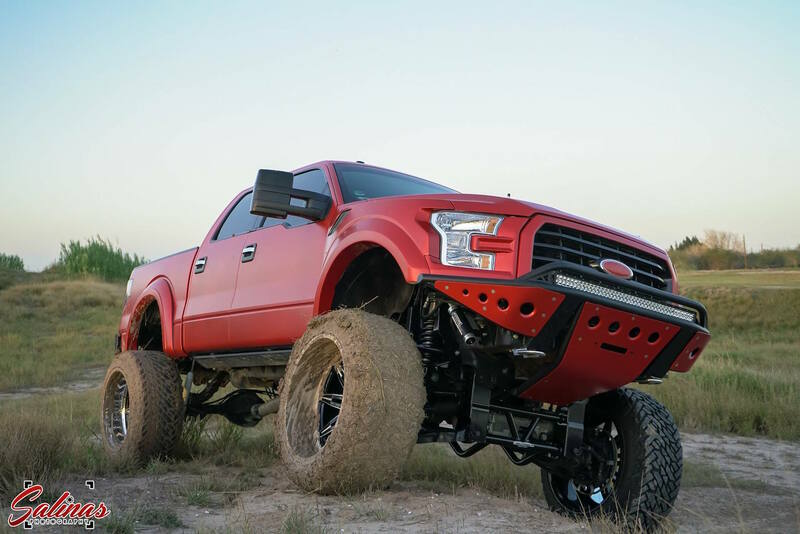 Most noticeably, it received a 2017 Raptor-inspired conversion including the factory front fascia, hood and fenders. 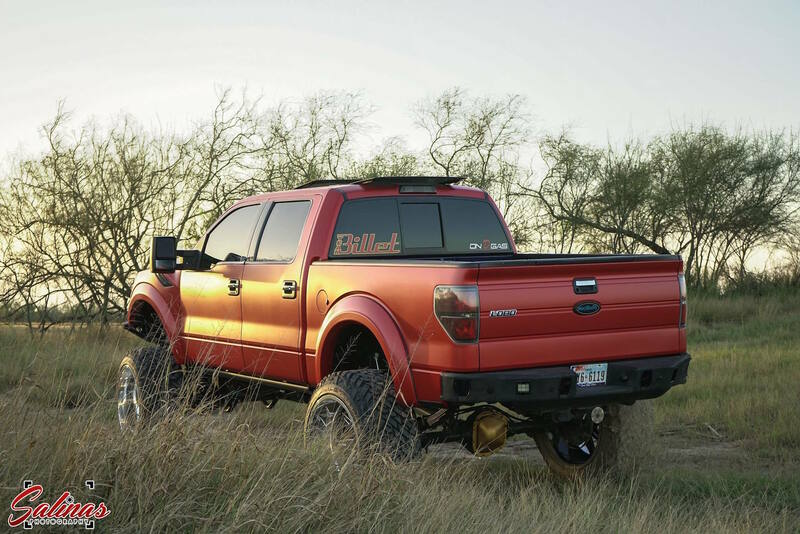 The formidable Ford received its altitude adjustment thanks to a 12-inch Bulletproof lift kit and the rolling gear consists of 26x16-inch Fuel Forged wheels wrapped in 40-inch Fuel Mud Gripper tires. 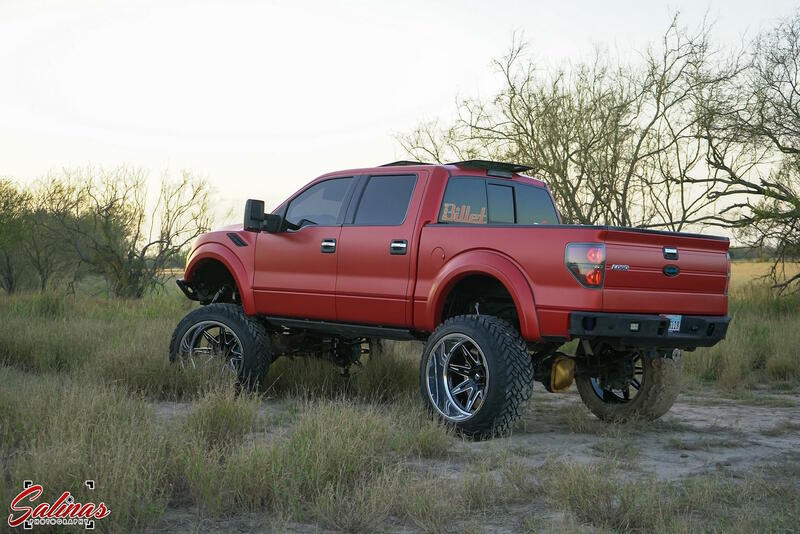 Check out the video below from Salinas Photography of this F150 that was built to do it all.